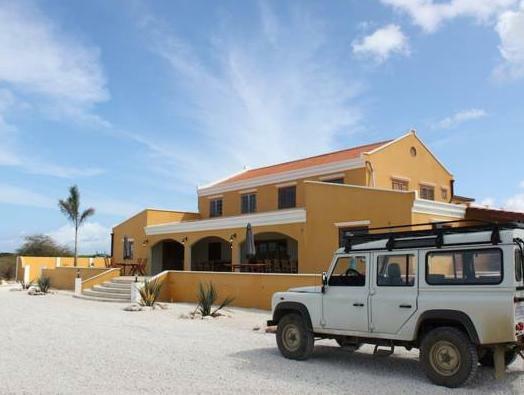 ﻿ Best Price on Wanapa Lodge in Kralendijk + Reviews! Just 1640 feet from Lac Bay, Wanapa Lodge offers an outdoor pool and hot tub, lush tropical gardens and stylish accommodations with free Wi-Fi. Sorobon Beach is a 6-minute drive away. Rooms at the Wanapa Lodge have elegant décor and include a ceiling fan, seating area and fridge. Studios and apartments also have kitchen facilities. Air conditioning is available on request. Wanapa Lodge serves daily breakfast (buffet). Twice per week a diner and BBQ night is organized for our guests. Supermarkets and restaurants can be found in Kralendijk, a 10-minute drive away. The surrounding area is ideal for hiking and watersports, including kite surfing, canoeing and diving. Lac Bay Nature Reserve and Flamingo International Airport are both within 5 mi.